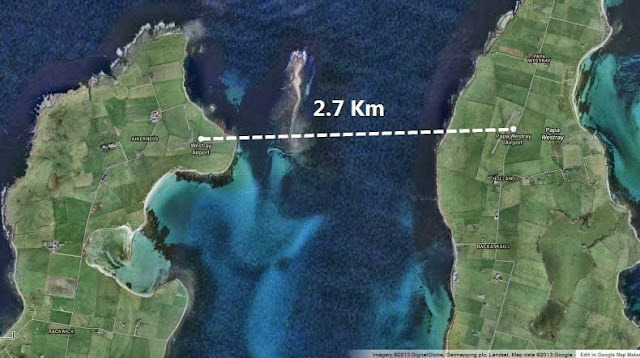 The world’s shortest commercial flight takes place between the two Orkney Islands, Westray and Papa Westray, just north of Scotland, separated by a distance of only 1.7 miles. Operated by Loganair, the flight duration is officially two minutes, but under ideal wind condition can be completed in only 47 seconds. Tickets are priced at about $30 per passenger with no in-flight service.